1865 – Robert E. Lee surrendered the Army of Northern Virginia (26,765 troops) to Ulysses S. Grant at Appomattox Court House, Virginia, effectively ending the Civil War. 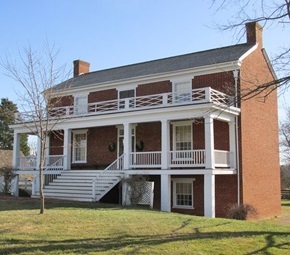 The men met in the first-floor parlor of a house owned by Wilmer McLean, who ironically had moved to this far corner of Virginia to escape the war after a cannon shell crashed into his home near Manassas during the first major battle of the war. The contrast between the two commanders was striking, and could not fail to attract marked attention they sat ten feet apart facing each other. General Grant was five feet eight inches in height and portions of his clothes were spattered with mud. Lee, on the other hand, was fully six feet in height and he wore a new uniform of Confederate gray. Grant proposed that the Confederates, with the exception of officers, lay down their arms and after signing paroles, return to their homes. Lee agreed with the terms, and Grant began writing them out. One issue that Lee brought up before the terms were finalized and signed was the issue of horses. He pointed out that unlike the Federals, Confederate cavalrymen and artillerymen in his army owned their own horses. Grant stated that he would not add it to the agreement but would instruct his officers receiving the paroles to let the men take their horses home. Lee also brought up the subject of rations since his men had gone without rations for several days. Grant agreed to supply 25,000 rations to the hungry Confederate soldiers. Most of the rations were provided from Confederate supplies captured by Sheridan when he seized rebel supply trains at Appomattox Station the previous day. Just before 4:00 p.m., General Lee shook hands with General Grant, bowed to the other officers, and signaled to his orderly to bring up his horse and gazed sadly in the direction of the valley beyond where his army lay – now an army of prisoners. General Grant stepped down from the porch, and, moving toward him, saluted him by raising his hat. He was followed in this act of courtesy by all our officers present; Lee raised his hat respectfully, and rode off to break the sad news to the brave men whom he had so long commanded. Several other Confederate armies remained in the field, including the remnants of the Confederacy’s second-largest, the Army of Tennessee under the command of Gen. Joseph “Joe” Johnston, which was contending with the Union army led by Maj. Gen. William Tecumseh Sherman in North Carolina. Lee’s surrender, however, signaled no hope remained for Confederate victory. Four years of bloodshed had left a devastating mark on the country: 360,000 Union and 260,000 Confederate soldiers had perished during the Civil War. Lee Factoid: Prior to the meeting at McLean’s house, General E. Porter Alexander, one of Lee’s officers, had suggested that instead of surrendering, Lee should send the army into the woods and mountains to fight on as guerillas. Lee rejected the idea out of hand (see his response at the top of this column). Surrender Factoid: The formal surrender ceremony did not take place until April 12th. Neither Lee nor Grant elected to attend the surrender ceremony. Grant selected Brevet Major General Joshua Lawrence Chamberlain to receive the surrender of the Confederate infantry. Stand at attention as the Confederates come by – and give your former foes the respect they deserve. 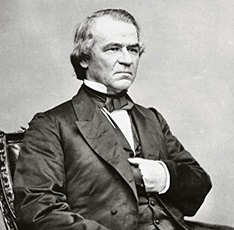 1866 – A Republican-dominated Congress enacted a landmark Civil Rights Act, overriding a veto by President Andrew Johnson. The law’s chief thrust was to offer protection to slaves freed in the aftermath of the Civil War. It sought to negate the so-called Black Codes in the South, which undermined the end of slavery, as mandated by the 13th Amendment to the Constitution. 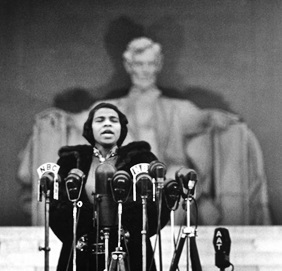 1939 – Opera singer Marian Anderson, who had been barred from performing for an integrated audience at Constitution Hall in Washington, DC by the Daughters of The American Revolution, instead sang on the steps of the Lincoln Memorial before a crowd of 75,000 and a radio audience of millions. Infuriated by the DAR’s stance, thousands of DAR members, including First Lady Eleanor Roosevelt, resigned. Several weeks later, Anderson gave a private concert at the White House where President Roosevelt and the First Lady were entertaining King George VI and Queen Elizabeth of Britain. 1942 – American and Philippine defenders on Bataan capitulated to Japanese forces during World War II. One month earlier, General Douglas MacArthur – commander commander-in-chief of all U.S. and Filipino forces in the Philippines – his family, and several USAFFE staff officers, had vacated the islands under orders from President Franklin Roosevelt. Although it was supposed to be a stronghold, Bataan had not been adequately supplied before the siege began. Most of its defenders had become sick with malaria and malnourished even before the surrender. Their rations were reduced by half in January, and to quarter rations in March (about 800 calories a day). Mosquito nets were not available and quinine, the main drug used to treat and prevent malaria, ran out. 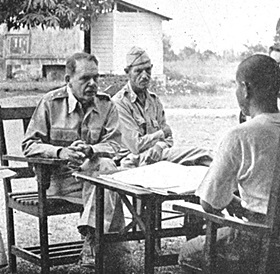 Seeing all was lost and wanting to save as many of his men from death and injury as he could, Maj. Gen. Edward P. King, Jr., commander of all U.S. and Filipino troops on Bataan, surrendered 76,000 American and Filipino soldiers. Approximately 1,500 of that total were transferred or escaped to Corregidor, which meant that about 74,500 men were going with him into captivity. The result was one of the Pacific War’s worst atrocities. Although General King surrendered his force to save them from unnecessary suffering, the brutality of their Japanese captors killed thousands of the POWs in what became known as the Bataan Death March. 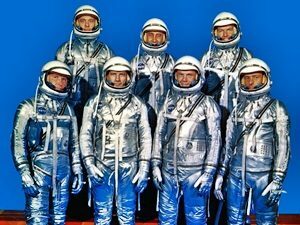 1959 – NASA announced the selection of America’s first seven astronauts (The Mercury Seven): Scott Carpenter, Gordon Cooper, John Glenn, Gus Grissom, Wally Schirra, Alan Shepard and Donald Slayton. 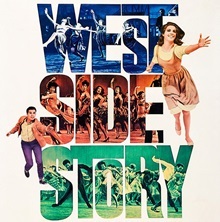 1962 – At the 34th Academy Awards, West Side Story was the big winner, taking home ten Oscars, including Best Picture, Best Director and Best Supporting Actor and Actress (George Chakiris and Rita Moreno). Sophia Loren won Best Actress (Two Women) and Maximilian Schell won Best Actor (Judgment At Nuremberg). 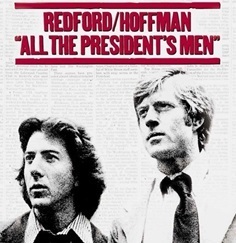 1976 – All The President’s Men, starring Dustin Hoffman and Robert Redford, premiered. The film was based on the novel by Carl Bernstein and Bob Woodward which detailed their Watergate investigation for the Washington Post. 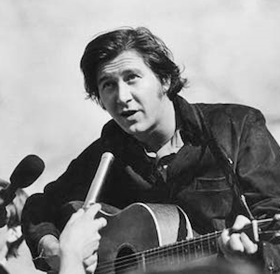 1976 – Folk singer Phil Ochs committed suicide by hanging himself. He was only 35. Ochs performed at many political events during the 1960s counterculture era, including anti-Vietnam War and civil rights rallies, student events, and organized labor events over the course of his career. A self-proclaimed “left social democrat” and “early revolutionary,” his best-known songs include I Ain’t Marching Anymore, Changes, Crucifixion, Draft Dodger Rag, Love Me, I’m A Liberal, and Outside of A Small Circle of Friends. In early 1976, Ochs was diagnosed with bipolar disorder. He was prescribed medication and he told his sister he was taking it. It was only after his suicide that she discovered he had been lying and had never opened the bottle. 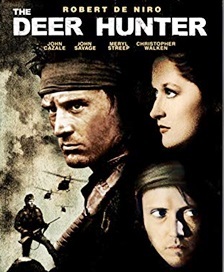 1979 – At the 51st Academy Awards, The Deer Hunter won 5 Oscars, including Best Picture, Best Director (Michael Cimino), Best Supporting Actor (Christopher Walken), Best Sound and Best Film Editing. Jon Voight (Best Actor) and Jane Fonda (Best Actress) won for their roles in Coming Home. 1988 – Singer Dave Prater died in a single-car accident in Sycamore, GA. He was 50. Prater, who teamed up with Sam Moore to form the soul vocal duo Sam & Dave (Soul Man, I Thank You and Hold On, I’m Coming), was driving on Interstate 75 near Sycamore when he veered off the road and hit a tree. Sam & Dave were well known for having a very tumultuous partnership during most of their 21 years together. According to Moore, they did not speak to each other offstage for almost 13 years. During the 1970s, they broke up many times, and typically would show up separately for shows, require separate dressing rooms, not look at each other onstage, and communicated through intermediaries. 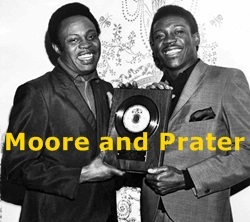 Moore and Prater (posthumously) were inducted into the Rock & Roll Hall of Fame in 1992. 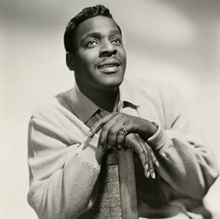 1988 – Singer Brook Benton died of complications from spinal meningitis. He was 56. Benton scored over 50 Billboard chart hits, including Rainy Night In Georgia, It’s Just A Matter of Time, Endlessly, and The Boll Weevil Song. 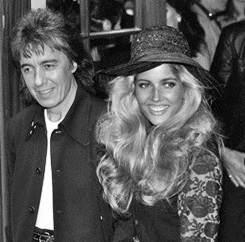 1989 – Bill Wyman of the Rolling Stones and Mandy Smith announced their engagement. He was 52. She was 19. They started dating when she was … 13 years old. Their subsequent marriage lasted just over one year although Wyman’s 30-year old son Stephen later married Mandy’s 46-year old mother. Idle Thought: That made Stephen a stepfather to his former stepmother. If Bill and Mandy had remained married, Stephen would have been his father’s father-in-law. Come on, where else are you going to get this type of important information? 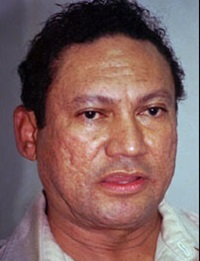 The court refused to allow Noriega’s defense to present any evidence relating to his work for the CIA, his payments from the U.S. government, his knowledge of U.S. subversion in Central America, his contacts with senior figures such as George H.W. Bush, and their knowledge of his activities as Panama’s dictator. His lawyers protested, but in vain. In many respects, the Miami proceedings resembled an east European show trial, with the outcome never in doubt. 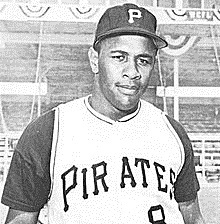 2001 – Willie “Pops” Stargell died of complications related to a stroke. The Baseball Hall of Fame slugger played his entire (1962-1982) with the Pittsburgh Pirates and was named the MVP of the Pirates’ 1979 World Series win over the Baltimore Orioles. 2003 – The city of Baghdad was formally occupied by Coalition forces. Much of Baghdad remained unsecured however, and fighting continued within the city and its outskirts well into the period of occupation. Saddam Hussein, certain members of his family and close subordinates vanished, and his whereabouts were unknown. 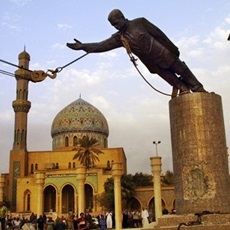 In front of a conglomerate of international press (and a small crowd of around 100 U.S.-supported Iraqi militia), a 20-foot-tall statue of Saddam in Firdus Square was toppled by a U.S. Marine Corps M88 Recovery Vehicle. 2014 – Alex Hribal, a 16-year-old sophomore at Franklin Regional High School in Murrysville, PA, used a pair of eight-inch kitchen knives to stab and slash 20 students and a security guard. Four students sustained life-threatening injuries, but all survived. Hribal pleaded guilty in the Westmoreland County Court of Common Pleas to 21 counts each of attempted homicide and aggravated assault. Judge Christopher Feliciani sentenced Hribal to serve 23 1⁄2 to 60 years in prison. History has proven the world will never learn, Penny.